This week the charity received welcomed news of yet another successful grant award from Awards for All Scotland. 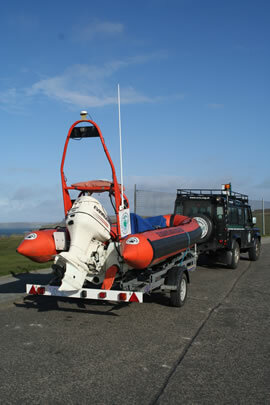 The £9,100 award has been granted in support of the CRRU's ongoing conservation effort with whales and dolphins in northeast Scotland, and will provide essential funds for the maintenance and repair of the charity's boat fleet - including the purchase of a new rollercoaster trailer and a replacement outboard engine for one of the two RHIB's. The news comes following the announcement of a recent £1,000 donation from the Glasgow-based "Ronald Miller Foundation" in support of the charity's ongoing marine wildlife rescue work in Scotland.